The King Solomon hotel Jerusalem. The King Solomon is your hotel in Jerusalem. A modern interpretation of the old that offers something for everyone. 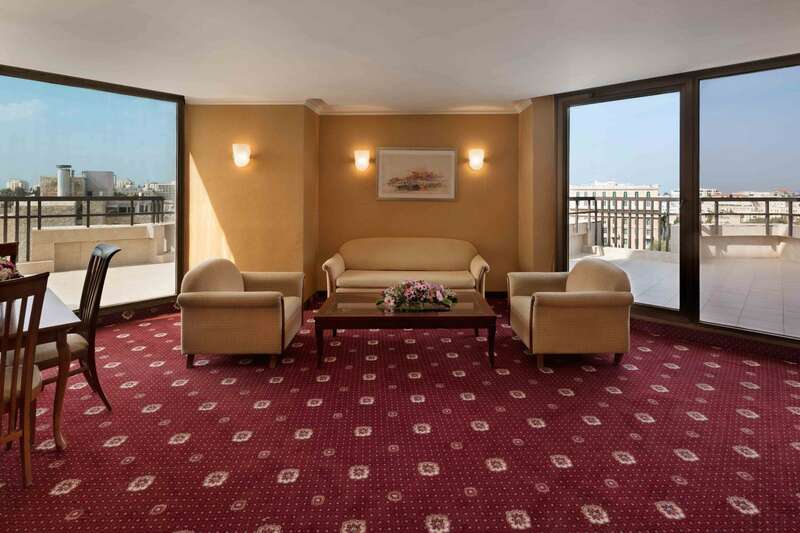 Its rooms off the lower floors are designed to make it pleasant for Sabbath observers and its luxurious high floor suites with large terraces make your vacation in Jerusalem special. In a tranquil neighborhood, surrounded by gardens, located on King David Street, the most prestigious street in the country, you’re moments away from both the most luxurious shopping of Mamilla mall and the magical old city. Offering some of the largest guestrooms and suites in Jerusalem, and the city’s most breathtaking views, a stay at the King Solomon Hotel Jerusalem gives you access to everything, including a quiet retreat when you need it. Once done, come marvel at our lobby boasting the famous Frank Meisler sculpture Jerusalem Fountain and our tall ceilings and art laden columns and grab a drink at our lobby lounge. Any room reservation may be cancelled with no extra charges up to 24 hours prior to date of arrival. Cancellation made less than 24 hours prior to date of arrival will be charged at the price of one night per every reserved room, according to the type of board ordered. During Peak Season & Jewish Holidays, any reservation may be canceled with no extra charges up to 14 days prior to date of arrival. Any cancellation made less than 14 days prior to date of arrival will be charged by the full price, subject exclusively to the hotel management's judgment. In case of non-arrival after reservations are made, The King Solomon Jerusalem hotel reserves the right to charge the purchaser for the full and/or partial cost, subject exclusively to the hotel management's judgment.